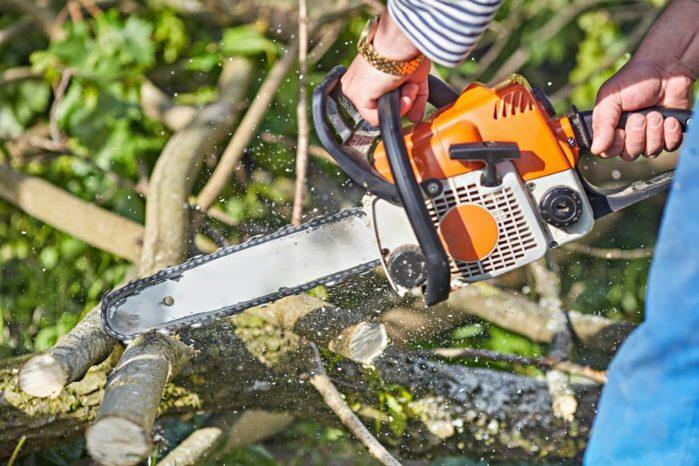 Electric vs. gas chainsaw: which of these two should you invest? Both of these two chainsaw models have their respective advantages and disadvantages. But depending on the intended application that you have, an electric or gas chainsaw could be better than the other. 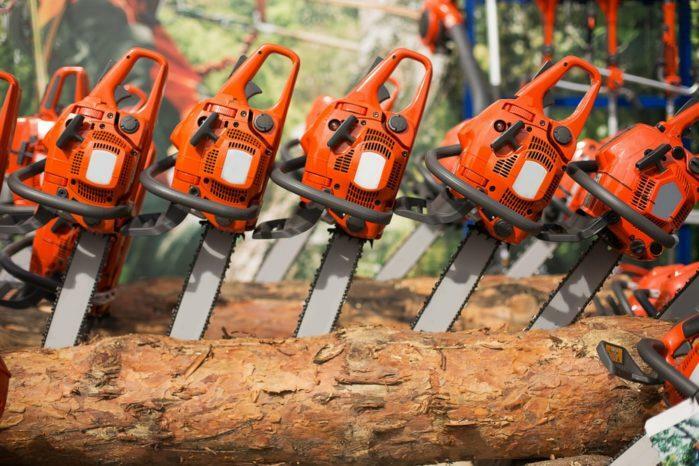 Despite their differences, all chainsaws still have one function. They are the beasts that you should rely on especially if there are significant cutting projects that you should accomplish. Most of the time, this involves cutting woods and lumbers. Their functions could still be branched out to suit minor and household-level projects. But which of the gas chainsaw and electric chainsaw can accommodate these applications? Also, which is the best cheap chainsaw? Let’s find out! The gas chainsaw is the primordial form of chainsaws. It has a monster-like cutting capacity, due to the presence of large and rugged chains. As its name suggests, a gas chainsaw operates by the mixture of gasoline and oil. Typically, this is the primary tool that you should use if there are significant cutting projects that are on your way. Even professional lumberjacks can attest to that. The power of a gas chainsaw is elaborate and consistent. Moreover, it can last long in the field, which is necessary for you are doing some significant clean-ups and various wood-cutting projects. Well, one of the most apparent benefits of a gas chainsaw is its power. It is the crucial tool that you should rely on for large-scale projects. Electric chainsaws can't tackle trees with large diameters. They just don't have the enough gears and grit to tackle humongous trees. Gas chainsaws can provide the right horsepower and torque that you need for these tasks. Another perk that a gas chainsaw can provide you is its mobility. Since works by a gas mixture, you can take this device anywhere on the field. It is the most versatile option that you have. You don't have to deal with bothersome cords or generators anymore. Once the fuel stacks on the engine, this beast can run down on a cutting rampage. Of course, there are still some particular drawbacks that you can find on a gas chainsaw. One of these is the bulkiness of this tool. It is pretty apparent already that gasoline-operated chainsaws are bulkier and more cumbersome to use than their electric counterparts. Therefore, you need to muscle your way out when using a gas chainsaw. Another related issue to its usage is the difficulty of its start-up. 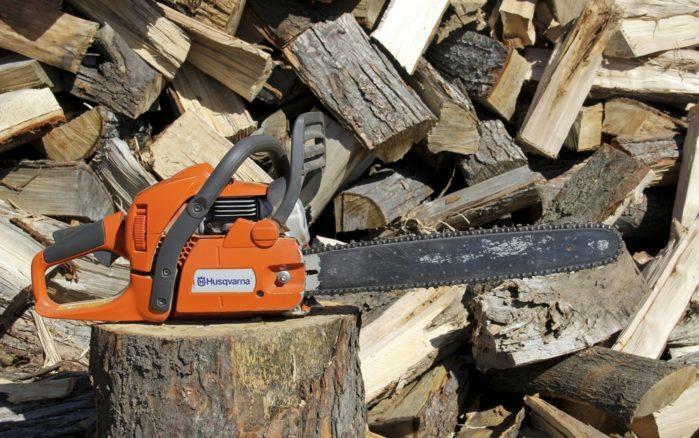 Unlike electric chainsaws, gas chainsaws don't have a right trigger that can immediately start the engine running. Furthermore, gas chainsaws require a regimen of maintenance. In short, gas chainsaws are on the losing side, especially if we are talking about ergonomic operation and design. Most of ordinary DIYers and homeowners today prefer to use electric chainsaws. They are compact and lighter compared to gas chainsaws. You can use them on small projects and other minor home maintenance tasks that involve cutting of wood. Specifically, manufacturers developed electric chainsaws as a response to the significant issues that are present on gas chainsaws. But of course, this doesn't mean that gas chainsaws are already antiquated and obsolete. I am just trying to emphasize that the size and power of a gas chainsaw are not appropriate for small cutting applications. If I am a professional forester, I will choose gas chainsaw in a heartbeat. But if you are just a simple person with simple needs, electric chainsaws should be enough for you. One of the most significant benefits that you can get from an electric chainsaw is its price. This tool is exceptionally cost-efficient, making it a practical choice. Most of the best cheap chainsaws are electric models. There is no denying about that. Also, electric chainsaws do require less maintenance. It is a surprising fact, considering that it involves complex circuitries. 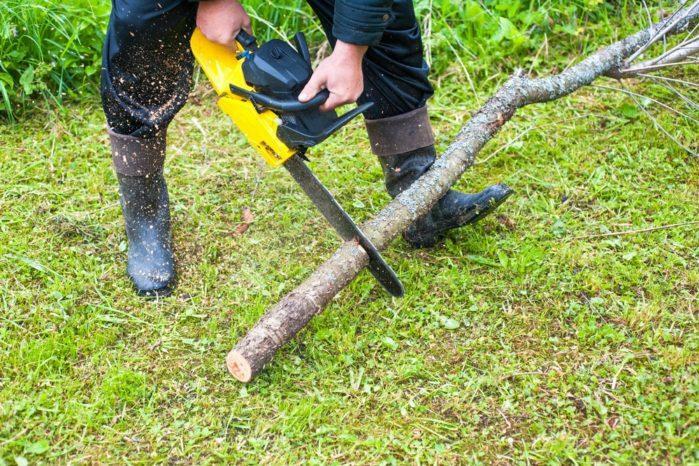 For small projects in your yard, an electric chainsaw is the best choice. It is great for pruning, trimming, and other home maintenance tasks. Since it is lightweight, maneuvering it is not a problem, either. It can also have the mobility that gas chainsaws have, especially if the one you are using is a cordless model. But if it is a corded chainsaw, then your working area is limited. Finally, the functionality of an electric chainsaw is incredible. It has a no-fuss startup and a stable machine that can keep things running. It also has other features that ensure better productivity and security for its users. The only drawback that I can attribute to electric chainsaws is its limited power. I would never recommend this tool if you are going to deal with large wood cutting projects. Electric chainsaws are also not sufficient in post-storm and other clean-up operations. In rescue missions, gas chainsaws are more reliable than their electronic counterpart. If you are going to opt for a corded chainsaw, you should expect that your mobility will be limited. The reason is quite apparent already. Its cord will undoubtedly limit your movement. At some point, such restriction will become a nuisance. Therefore, you should always mind your working area before investing on a chainsaw. Either way, both electric and gas chainsaws are functional, primarily if you will utilize them on their appropriate applications. In fact, it would be great if you can invest in these two types of chainsaws. Having an electric and gas chainsaw in your garage will undoubtedly improve your versatility on the field. Once you can get the chainsaw of your choice, I recommend that you maintain it before and after you use it. Doing regular check-ups will optimize the performance of the tool. Moreover, doing maintenances will allow you to spot problems that may cause irregularities in your job. You would then be able to troubleshoot them properly. Lastly, I encourage that you exercise caution when using chainsaws. These power tools are capable of inflicting severe and deleterious damage. You must wear your proper gears and follow the operating procedures given by the manufacturer.